If you suffer from chronic hip pain due to arthritis or an old injury, or you’ve recently injured your hip, then you may benefit from physical therapy, traditional orthopedic care, non-surgical stem cell injections or even stem cell-enhanced surgery. Can stem cells heal hips? A recently published avascular necrosis study of 31 hips treated with a combination of bone marrow stem cells and hip decompression concluded that after 2 years, 25 out of 31 hips showed a relief of symptoms and a resolution of the osteonecrosis. CONCLUSION: The results of our study show that treatment of AVNFH with implantation of autologous concentrated MSCs is indicated for patients at Stage I and Stage II. Our results show a significant reduction of joint pain level, and this could take to a delay, or avoid the need, of hip replacement. Moreover, this study highlight the safety of autologous MSCs graft approach in the treatment of the early stages of AVNFH. 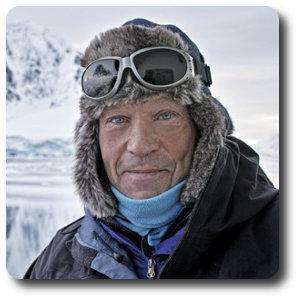 Robert Swan is the first person in history to walk to both the North and South Poles. He has been seen my Dr. McKenna for stem-cell therapy for his hip, and preparing for his next expedition to the South Pole in a couple weeks. “Ahoy Team,Thank you so much for everything. This I know has really set me up for the South Pole. THANK YOU ALL. We leave on November 7th from the USA. Start for the South Pole On foot on November 15th or 20th weather depending. INTENDING to reach the South Pole January 14th ..600 miles on foot.www.2041.com and Facebook 2041ClimateForce will tell the tale. See you on return. At McKenna Ortho, we augment BMAC with a FDA approved tissue graft developed by Dr. McKenna. It is derived from human placental amnion, which functions as a biologic structural matrix to facilitate and enhance tissue healing and repair. It contains 108 different growth factors including more than 10 times the amount of WNT-4 and more than 60 times the amount of prostaglandin as competing products. Below are common hip conditions we treat at McKenna Orthopedics. If your hip condition is not listed, please contact us to see if you are a candidate. *Amniotic tissue is donated after normal, healthy births. Once it has been fully tested for infectious diseases, sterility and a few other things, the tissue is processed by using proprietary methods developed by R. Wade McKenna, DO.